First the details of their BBA and BS accounting and finance entry test is discussed. For this degree program entrance test, you will prepare English portion as 15% weightage is given to it. Then you will prepare English essay portion because 15% weightage is assigned to it. Then a student will prepare analytical skills questions because the weightage of this section is 30%. Then the candidate has to study for basic mathematics subject because the weightage given to this portion is 40%. Now moving to their BS computer science program test, or if one is applying in their BS engineering program, then the candidate has to prepare these portions for his entry test phase and they are English subject, it has 10% weightage in this test. Analytical skills questions have 20% weightage, 20% weightage is given to basics maths subject and 40% weightage is given to advanced mathematics subject. Lastly, 10% weightage is given to the portion and section of physics. The entry test details to be in their MBA 1.5 year program, 10% portion is of English subject, 5% portion is of essay writing. 20% portion is of IQ level, 10% portion shall come from advanced math section, 40% portion shall come from specialization area, 15% portion will come from the section of quantitative methods. Similarly, you will prepare English and essay writing sections and advanced math questions and MCQs on analytical skills will come too. Quantitative methods questions and MCQs on your specialization field and area shall come also. 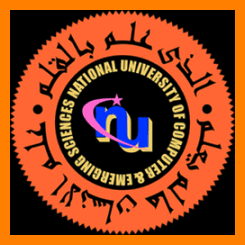 You can show your score of NTS-NAT test to qualify the seat and confirm admission in this FAST university. From the entry test, 50% weightage will be considered. Your 50% weightage from HSSC marks will be put in the merit list as well. To put the weightage of your matriculation marks, note that admission committee will multiply your matric exam score with the factor of 0.9 and they will be included in the final weightage line of your intermediate marks. This FAST university has always followed the policy of online test. Before you apply, confirm that you can easily use the computer system as your admission test will be taken on the computer systems. More info on Fast University entry test 2018 guide, model papers will come and shared.